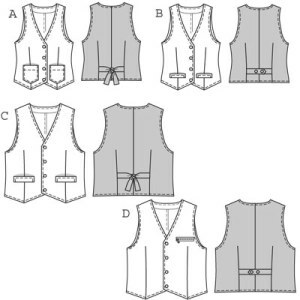 These waistcoats/vests (A & B for ladies, C & D for men) belong in everyone’s wardrobe because they will always team well with any outfit, e.g. 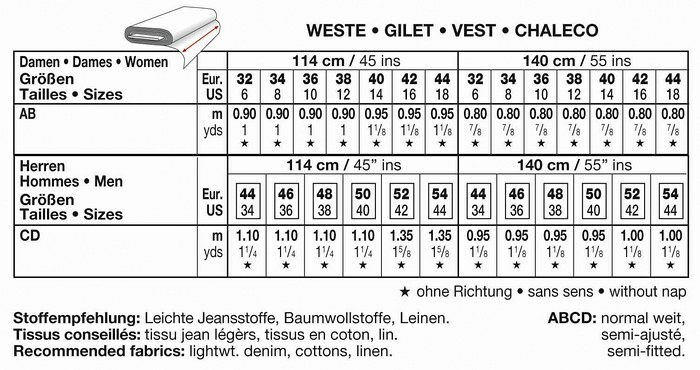 over tops, blouses or shirts. Various fabrics and details or different mixing and matching provide for endless styling possibilities!